Our kitchen is FINALLY done. Honestly, it was not as bad as I expected. We started the renovation in early March. The kitchen was not functional for about 6 weeks. I have been holding off showing y'all because I was waiting on our hardware and lighting to come in, both were on back order. Story of my life. I feel like I have built up this huge, dramatic reveal and it is pretty basic. I could not be any happier. Who does not love a good before and after? Ahhh!! I love it! You and Doug (emphasis on YOU) did such a great job. It is STUNNING! Amazing! So obsessed. It looks absolutely incredible! Well worth the wait!!! I love every single bit of it! Oh my! It looks amazing! I have loved seeing the progress and the end product is definitely worth the wait! Love the kitchen, it looks amazing! I can't wait to see it in person!!! Oh my gosh! It looks so great! 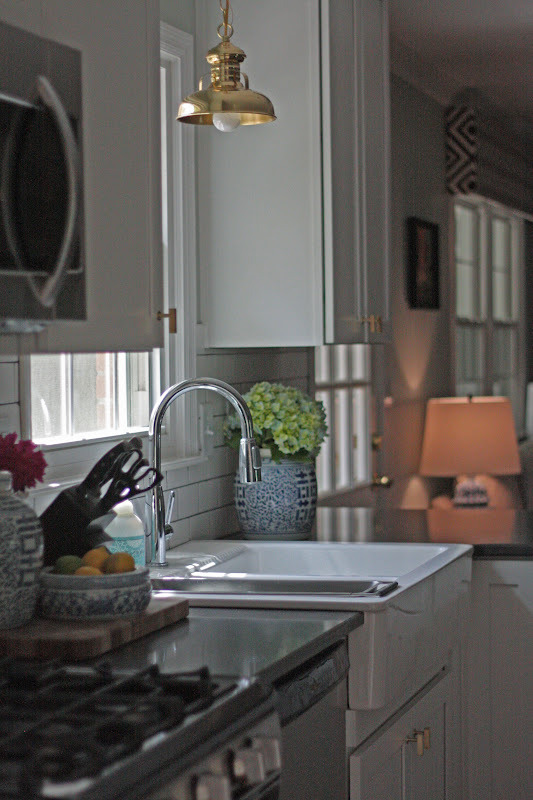 I especially dig the apron sink and that great subway tile backsplash. Well done with great taste! this is SO grogeous, congratulations!! IM PINNING!!!! Yay,it looks fantastic! Love the new flooring, lighting and sink. Well done! This is not just any kitchen! I love it. I can't think of anything I would change if I were to design my own kitchen. I bet losing that wall made such a huge difference too. Would you mind sharing where you got your rug too? Gorgeous! So amazing and so inspiring! I know you are enjoying it! Where are your bar stools from? Jessie! This is stuff dreams are made of! It is not just "ANY" before and after- it's amazing! Wow, amazing! Love the brass knobs, you did AMAZING! Oh! and I love the rug! You are so talented!!! I am sorry I didn't realize you had a blog until now :( !!!! I am so excited to follow you and SO excited to take you to my favorite design resources next time your in the NYC!!!! Holy cow what a makeover! That is incredible! 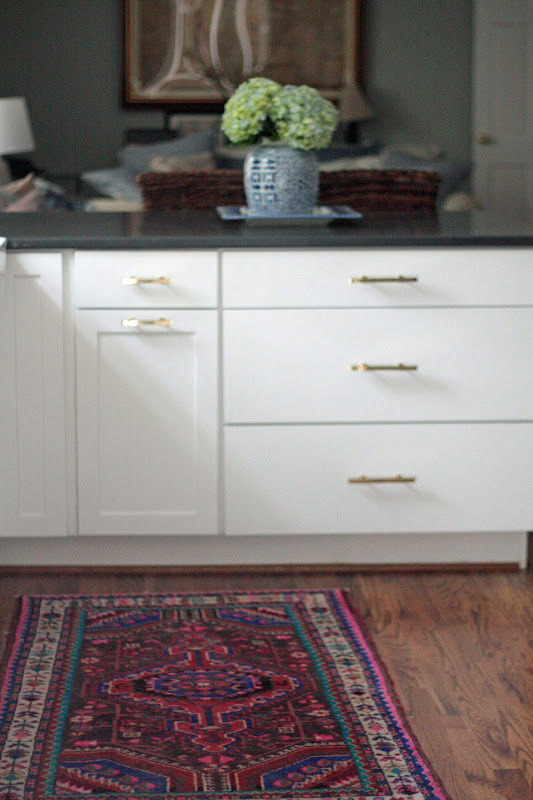 The subway tile, gold light fixtures and hot pink kilim are so different but they look awesome together. You've got a serious eye for design! I love your blog, I'm so glad to have discovered it! Your kitchen looks amaaazing! 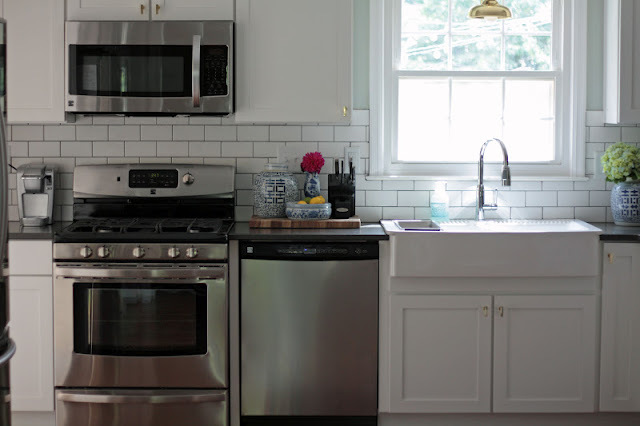 Love the subway tiles and all the blue and whites you added! Fabulous job! Is is just lovely!!! You two did a beautiful job. Now enjoy it! What a beautiful before and after; I"m loving the mix of clean and sleek with traditional elements. Great job! Your kitchen looks awesome! I know you're happy with how it turned out. Great job! it looks so cool - i love the blue/white pots !! Looks light it came straight out of a magazine! Beautiful! It seriously does look like it's out of a magazine! You did an amazing job!! Your. Kitchen. Is friggin. Fabulous. I'm dying Jess!!! im jealous. your kitchen looks fabulous. can i pay you and summer to please redecorate my house? You did an AMAZING job!! Not only on the decorating but the styling as well. 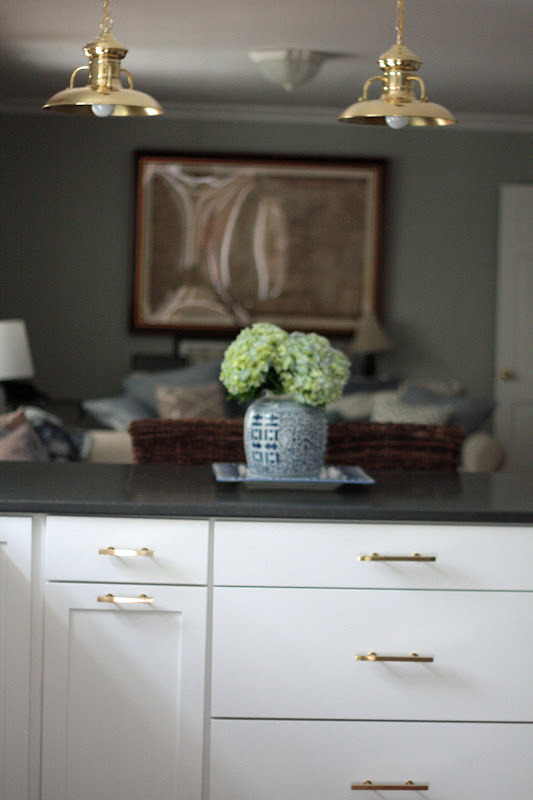 Love, love, love the brass accents, ginger jars, and rug. Woah this looks amazing!! !I love love everything you picked out, everything is perfect and I cant get over the before and after!! Amazing job!! 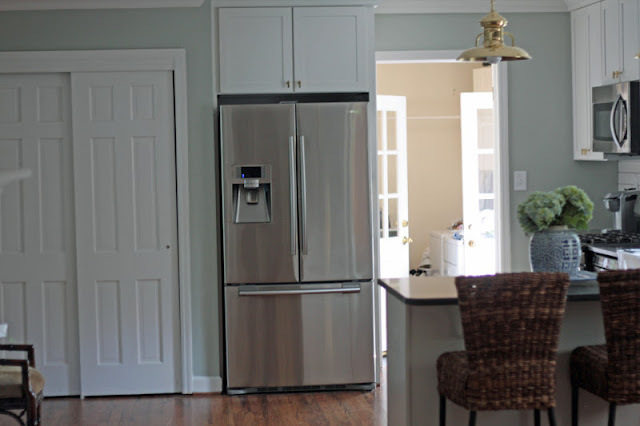 The major change with the paint gave your kitchen a fresher and lighter atmosphere. 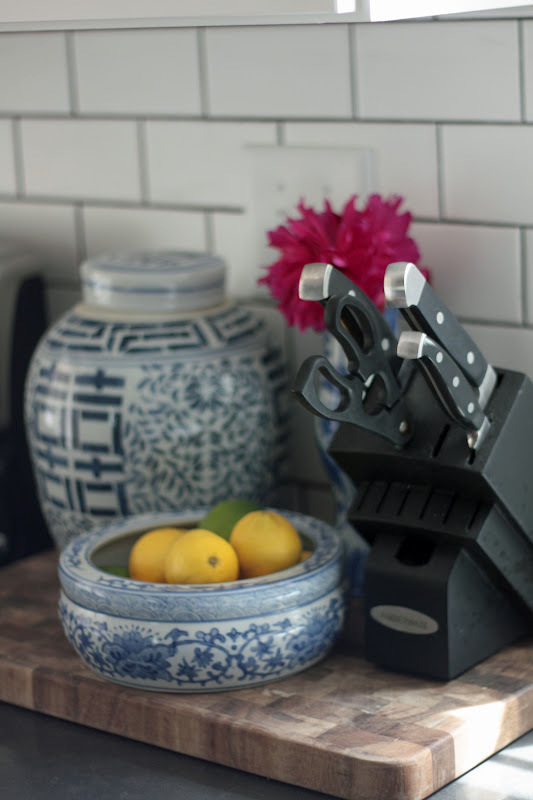 Working would totally be easier in your new kitchen environment. It also looks painstakingly lovely with the metal accents, especially with the pendant lights you used. Well done! I don't know why I'm just finding your blog, but I am 110% totally hooked. Your kitchen is ridiculous and exactly what I want! Where in the good heavens did you get your hardware and lighting?! Love your kitchen. Where are the light fixtures and hardware from? I have seen those "knobs" everywhere and want them for my grey vanity. Actually I like the renovation process that you've done on your kitchen. In kitchen all I want to do is to have pantry doors so I could be able to put excess food on it. Where did you get the knobs and drawer pulls? 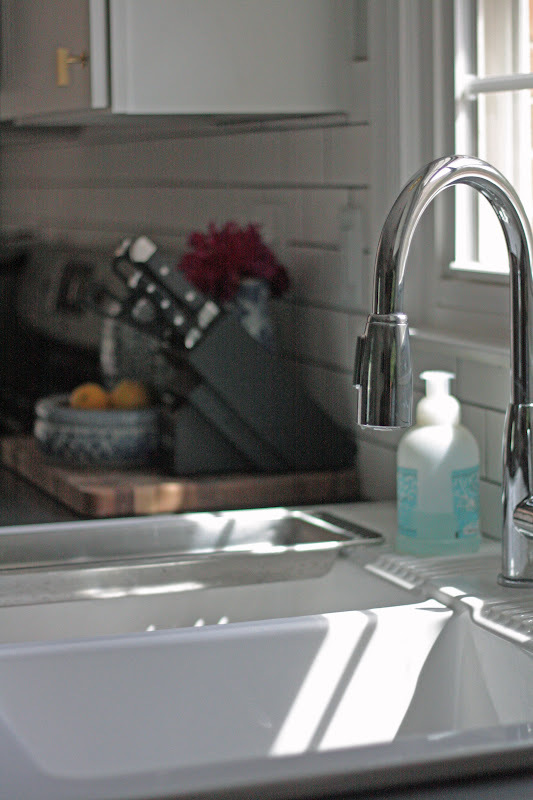 I am renovating my kitchen and those are exactly what I am looking for! Thanks! wonderful kitchens installed the first providers Best Kitchens Sydney interior design services that promise to change the entire look of the kitchen and make it new and vibrant. GORGEOUS! I love your kitchen’s new look! I think it is lovely and stylish. All the metals and chrome gave the kitchen a very sleek and sophisticatedly modern look, which I think goes very well with the whole room. 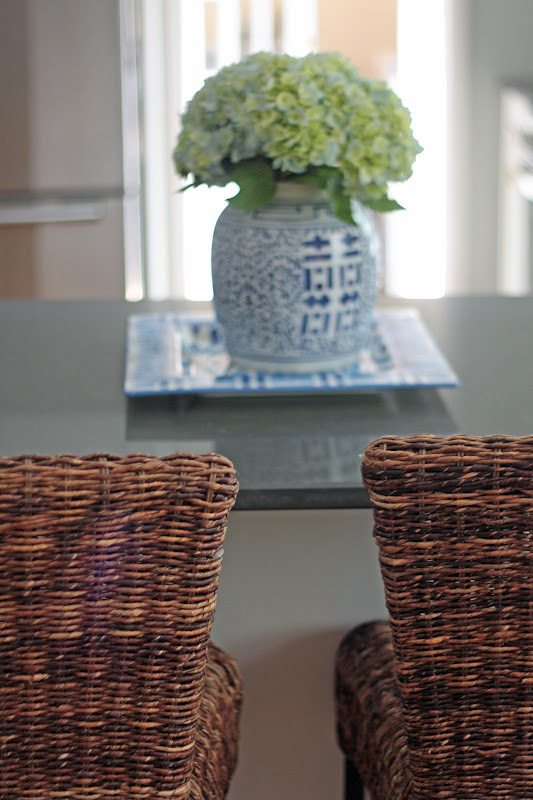 The wickerwork accents, such as those baskets, give the kitchen an organic feel, which gives the room a great balance. 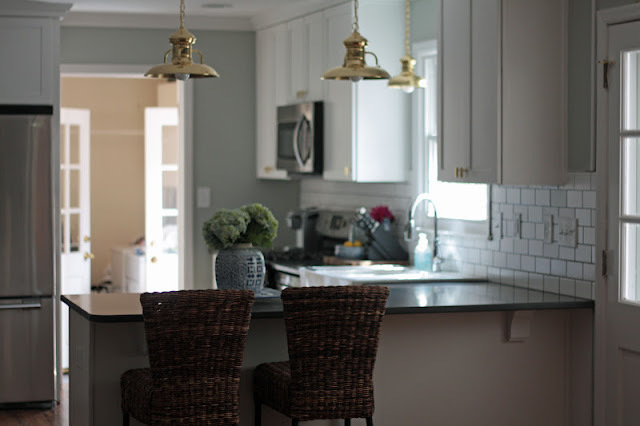 I would utilize these tips & ideas to renovate my kitchen and make them stand in some where between high end design and low budget budget equation. An eye opening post for me!! I am glad that finally I met with a real "practical" kitchen expert. Do share some "cost" stats of that kitchen renovation episode if possible!! Whitlock and Co. Giveaway Winner! Whitlock & Co. Giveaway Palm Pillow Giveaway!